Kermit D. Wooldridge’s future looked dim as a teenager. The troubled youngster was described as truant, incorrigible, and a run-away. He dropped out of high-school. Born to deaf-mute parents who could not control him, he was raised by an uncle in Lubbock and Abernathy, Texas. 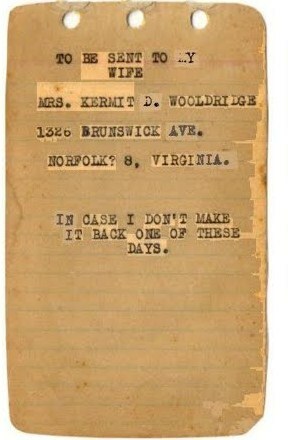 Bored and headed for trouble, on July 12, 1934, Kermit Wooldridge, age 17, joined the US Army. No one would have predicted that a few years later he would find himself in the midst of the most important war America would ever fight. 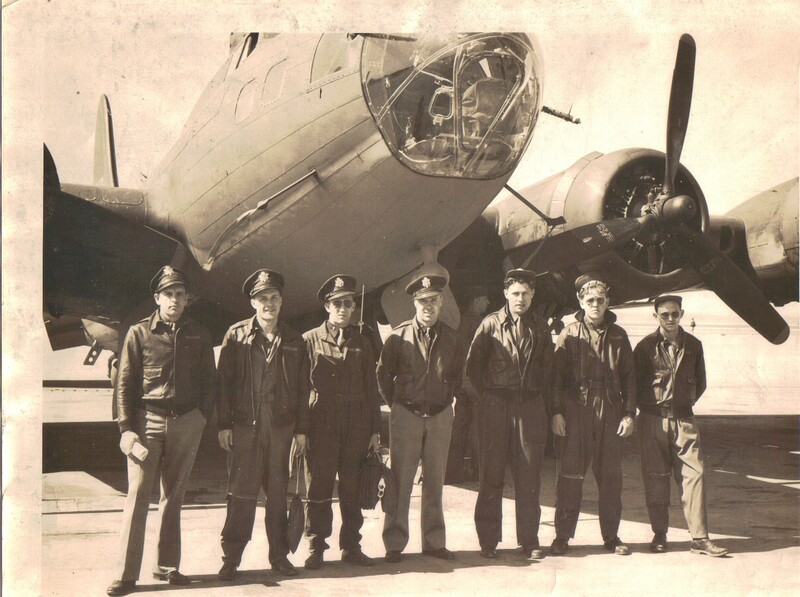 It was unimaginable that he would pilot the formidable four-engine heavy bomber – the B-17 Flying Fortress. Enlisted man Wooldridge – with a GED in one hand and a forged document of parental permission in the other – would soon be whipped into shape by the United States Army. Private Wooldridge spent five years with the 7th Cavalry, Ft. Bliss, Texas. In 1939, Corporal Wooldridge was transferred to the Hawaiian Coast Artillery Corps. Life for Wooldridge changed on Dec. 7, 1941. The bombing of Pearl Harbor heightened urgency for pilots in our woefully inadequate Army Air Corps (now the USAAF.) Two weeks later, Dec. 24, 1941, Kermit Wooldridge was commissioned a 2nd Lt. – appointed on a temporary basis for “the duration of the present emergency.” On that day, the now disciplined, military-indoctrinated “Woody” Wooldridge began pilot training, initially in twin engines, and later in the B-17 four engine bomber. Looking at his military records, the amount of time to learn to fly an aircraft in wartime was greatly abbreviated. 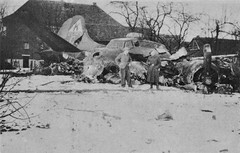 Pilots and airmen were needed – and fast. 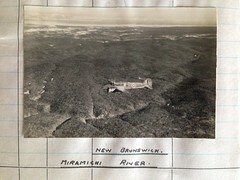 Air schools and fields were authorized. Wooldridge’s military records show he began intensive pilot training Dec, 24, 1941 (200 hrs flight time) for one year. 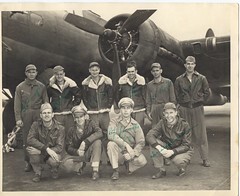 Training in the B-17 followed – completed in fewer than six months. 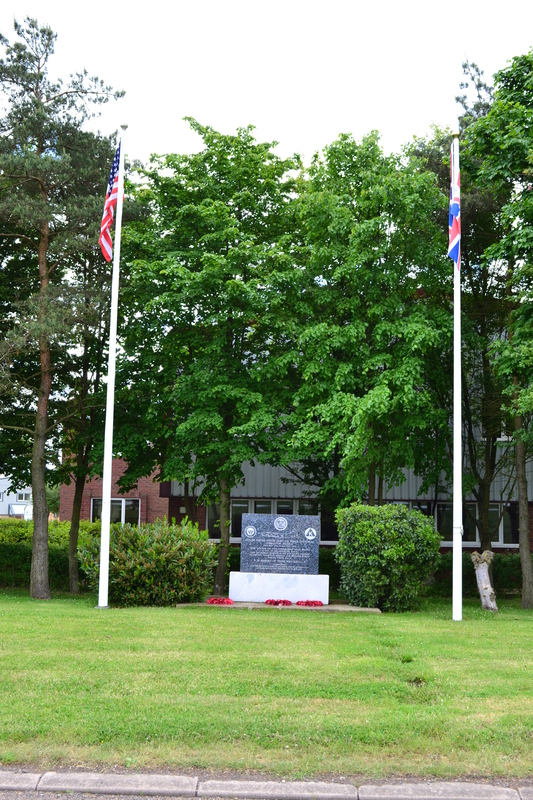 On June 9, 1943, with eighteen months flight training total (495 hrs flight time) Wooldridge – along with thousands of other eager airmen – would land at Kimbolton Airfield, England. On June 29, 1943, he would fly his first mission of the war – the bombing of Paris. The transformation of a truant high school dropout was well on its way. 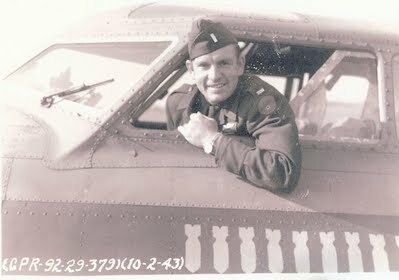 At Kimbolton Airfield, 2nd Lt. Wooldridge, 379th Bomb Group, 525th Bomb Squad, who formerly scorned the written word, began a chronicle of each of his 25 missions over Nazi-occupied Europe. Returning from each mission, pilot K.D. 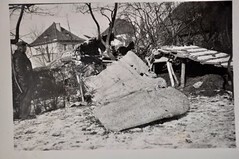 Wooldridge typed on small diary pages his recollection of that day’s work – targets bombed, engagements with Nazi fighters, planes being shot down, crippling damage to his own bombers and horrible loss of life. 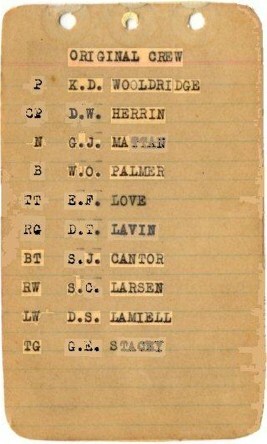 The missions were from June 29 to December 13, 1943. 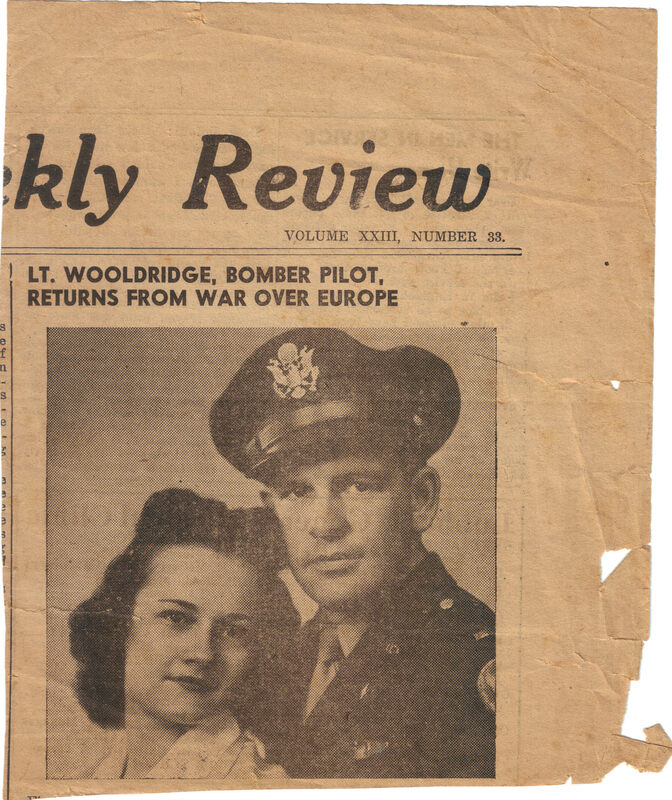 Kermit Wooldridge would return home to the United States and his wife, where I would be born in November, 1944. Wooldridge would spend 25 years in the Army, retiring a Lt. Colonel in 1958. He and his my mother would raise four children. It was only after retirement from the Army that the wayward young man who wrote of the horrors of war as a 26 year-old, would then go to college and begin a second career as a math teacher. After his death in 1994, my mother gave me the diary and asked me to do something with it one day. I did not read it until many years after his death. His story is not unique – my dad was an ordinary man, who along with his crews, was put into extraordinary circumstances. They all acted heroically, but would not like to be called heroes. 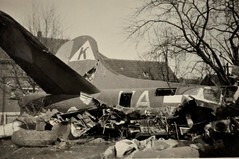 Over one-third of the B-17s over WWII Europe were lost. I donated my father’s diary to the Library of Congress in Washington, D.C. 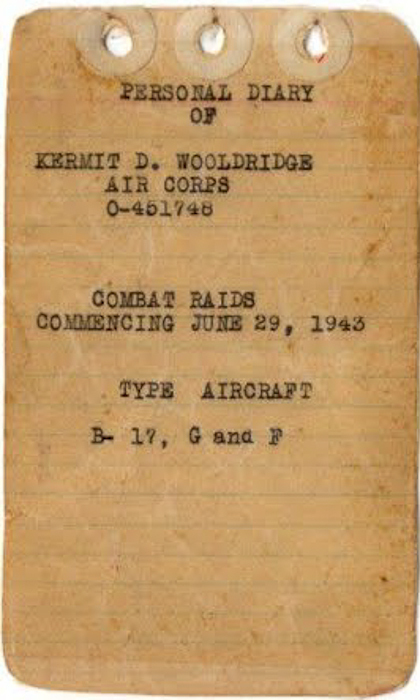 Here are a few excerpts from the diary of Lt. Kermit Wooldridge. The entire diary is online, each raid separately. 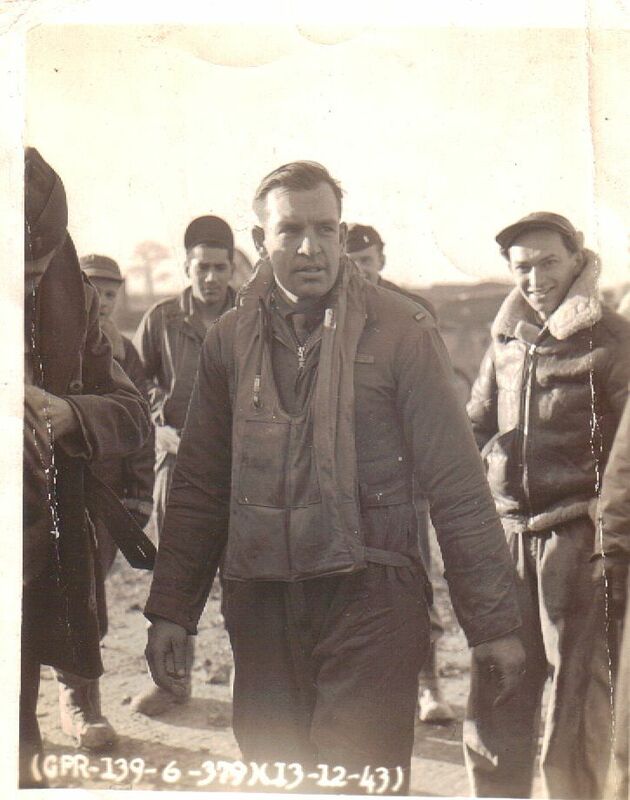 “Today we took off with a load of three 1000’ demos and a load of incendiaries. Our target the ball bearing plant at Schweinfurt, Germany. We had been briefed several times for this target and we knew it was going to be rough. 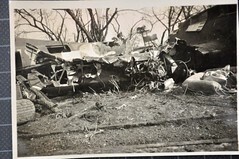 It turned out to be the roughest ride that I ever hope to see…… we dropped our bombs OK and turned away from the target and ran right into the whole German air force….they were coming through the group in droves and shooting all the way. One FW190 rammed my right-wing man head on. They both went down in flames. They kept coming in groups of five and ten at the formation and in less than five minutes five of the seven ships in the squadron that I was leading had been shot down. Well I and the other ship joined another squadron that had only four ships left. For the next hour and a half the fighters kept hammering at us. I was really doing violent evasive action to make them miss. My ball turret gunner asked me if I thought I was flying a P-38. Well frankly I was giving her all she could take but still had no hope of making it back…we were near out of gas and it was time to do something if it was wrong….when the altimeter got down to an indicated 200 ‘ above the ground I started praying. One of the many that I had said today. When the reading was low (80 feet) the navigator said he saw a row of lights ahead. Sure enough there was a field about half a mile ahead. We went straight in and landed for we were too low to make much of a turn. News cutting showing Wooldridge’s return from War. This is an excellent recount of the life of a young B17 Pilot and is well worth a read. I met you here in Brooksville at the B17 flyin Thank you so much for the site that I could read of your fathers diary. It was an amazing read. His notes seemed so calm for the calamity going on all around him. Hi thank you for readng the article, it was written by Fran as a guest post for Aviation Trails. 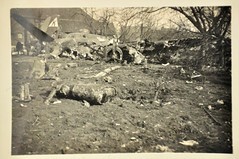 It is not Fran,s site though, her disries can be found at http://sites.google.com/site/ww2pilotsdiary/. They are superb, please do go and look and thanks for coming by here. Thank you for your comment. 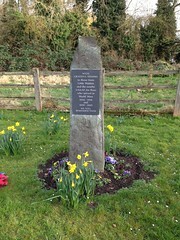 They were indeed very brave and their names shall not be forgotten. It is our duty to them to remember them.